Port d’Hiver Bed and Breakfast is an island within an island, blending comfort and luxury with award winning accommodations, fine dining, warm personal service and thoughtful amenities for romantic Florida getaways. Leonards is thrilled that many of our reproduction beds now call Port d'Hiver home. From the Jamaican Plantation tallpost bed in the Sunrise Room to the Faux Bamboo Urn Top Bed in the Carriage House suite, our beds are dressed in custom linens, awaiting your arrival. For more information visithttp://www.portdhiver.com/. From top: Faux Bamboo Urn Top bed, Jamaican Plantation Tallpost bed, and Marlborough Ball & Ring Lowpost bed. 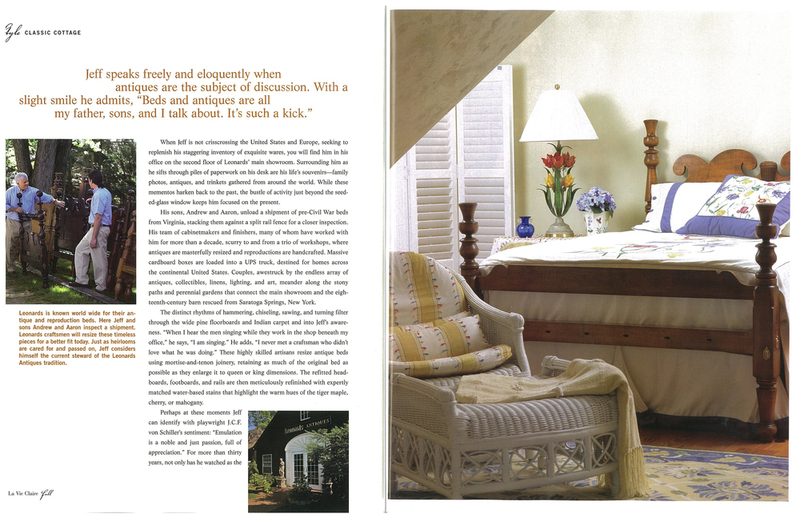 We are thrilled to see one of our antique low post beds featured in House Beautiful's April issue. The legacy of Leonards Antiques, a local treasure, continues under the direction of Kristin Jenkins. Leonards made it into this May 2008 edition of Country Living. 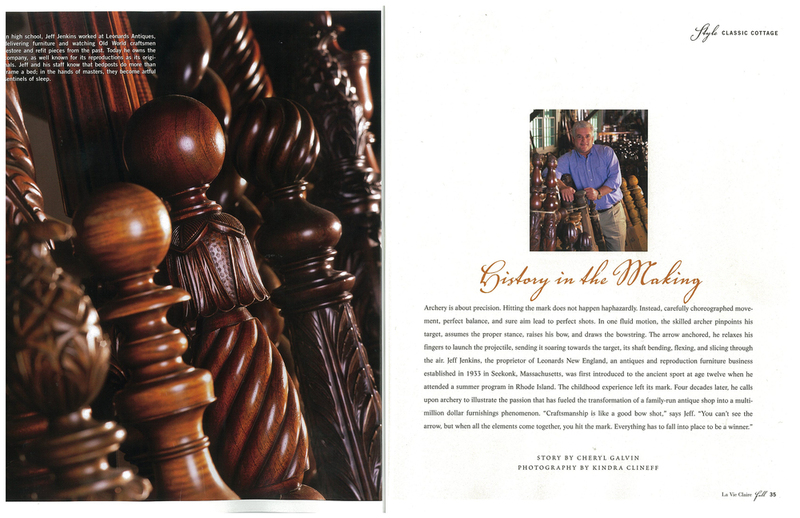 Martha Stewart learns how antique bed frames are made to fit modern sized beds from Jeffrey Jenkins of Leonard's New England. While using antique bed frames and new wood decreases the antique value, the finished product is both beautiful and useable.